This year’s Interactive Fiction Competition is over, and for the first time in its 22-year history, the winner can be played without a keyboard. IFComp is run by and for the interactive fiction community, a group of hobbyist writers and programmers making experimental art with prose and code. It’s free to enter, and anyone can judge it. It’s an oasis of joy and experimentation and creativity right now, for me and others. 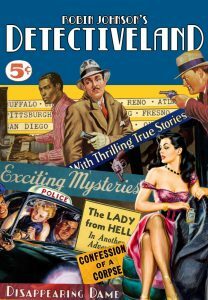 For most of its history, IFComp was dominated by parser-based interactive fiction: games navigated with keyboard commands like “NORTH,” “READ BOOK,” “TAKE BUCKET,” “UNLOCK DOOR WITH BRASS KEY” and so on. But the last few years have seen a dramatic shift towards other experimental forms that don’t require a keyboard: choice-based and hypertext games, played with a mouse, mostly by clicking on links in a browser. Tools like Twine, Texture, and Inklewriter made it possible for many, many more people to make interactive fiction without learning to code. These stories were also more accessible for players, played entirely with a mouse and without learning the conventions and syntax of parser-based games. 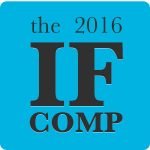 On Thursday, the IFComp 2016 winners were announced. For the first time ever, the winner isn’t a parser-based game. The third-place winner, Cactus Blue Motel, is a Twine game by Astrid Dalmady, telling the story of three friends on a road trip through the American Southwest, stopping off at a roadside motel with a unique past. I’ve loved interactive fiction for years—I even made a community for people to write their own. To me, it represents a beautiful fusion of art and technology, and it’s achievable by a single person. Seeing people push the genre forward with new tools and platforms is a bright spot in an otherwise-dreary year.